Fight the Good Fight finds The Interrupters delivering their two-tone-inspired, powerfully melodic, punk-fueled sound with more vitality than ever before. 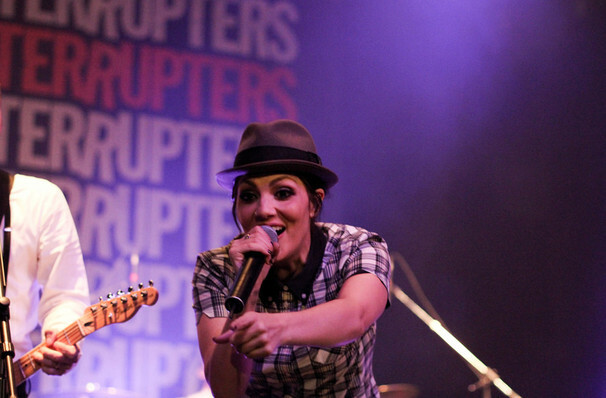 Purveyors of high energy West Coast ska-punk The Interrupters were no strangers to the music world when they formed in 2011. Established vocalist Aimee Allen met the guitar, bass and drum trio the Bivona Brothers whilst touring with their group the Telecasters, and musical magic happened when they started writing together. Banding together under their rebellious moniker, they were soon touring with the likes of Rancid, The Transplants and Left Alone off the release of their first two albums in 2014 and 2016. Now the earth quaking quartet are hitting the road on a triumphant 2019 headline tour in support of their 2018 album Fight The Good Fight, a brand new record filled with skank-inducing anthems, street punk and unabashedly upbeat pop hooks. The compilation's lead single 'She's Kerosene' lit up the radio waves on American alt stations upon its release, and The Interruptors became the first female-fronted ska outfit to attract major alt radio play and alt chart ranking since No Doubt. Channeling Joan Jett in her prime, Aimee and her band of misfit brothers induce mass skanking and moshing during their whirlwind live shows - wear comfortable shoes and get ready to move! 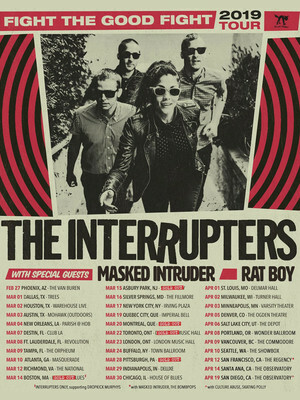 Seen The Interrupters? Loved it? Hated it? Sound good to you? Share this page on social media and let your friends know about The Interrupters at The Depot. Please note: The term The Depot and/or The Interrupters as well as all associated graphics, logos, and/or other trademarks, tradenames or copyrights are the property of the The Depot and/or The Interrupters and are used herein for factual descriptive purposes only. We are in no way associated with or authorized by the The Depot and/or The Interrupters and neither that entity nor any of its affiliates have licensed or endorsed us to sell tickets, goods and or services in conjunction with their events.